Melbourne, Florida – October 1, 2014 – At a special reception last night, the Community Foundation for Brevard awarded the Brevard-based Preeclampsia Foundation a Medical Research Grant in the amount of $30,000from the Kenneth R. Finken and Dorothy Hallam Finken Endowment Fund. This grant will be used to study preeclampsia and its impact on the long-term health of mothers and infants through The Preeclampsia Registry™. 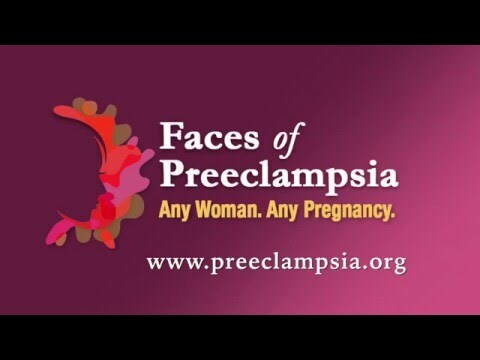 “Preeclampsia is a serious condition related to high blood pressure during and after pregnancy,” said Eleni Tsigas, Executive Director of the Preeclampsia Foundation. “It’s one of the most common complications of pregnancy, impacting one in every 12 pregnancies in the United States. Globally, preeclampsia and related hypertensive disorders of pregnancy are a leading cause of prematurity and death with 76,000 mothers and 500,000 infants dying every year. “We’re proud to support Brevard-based medical research benefiting mothers and babies world-wide through this Medical Research Grant to the Preeclampsia Foundation,”said Sandi Scannelli, President/CEO of the Community Foundation for Brevard. To develop a potential cure, this medical research project will expand The Preeclampsia Registry to include a biobank of DNA samples, allowing for microarray analysis for tens-of-thousands of DNA markers, some of which will undergo exome/genome sequencing. Founded in 1981 as a 501(c)(3) nonprofit organization, the Community Foundation for Brevard encourages philanthropy by individuals, families, companies and organizations, and serves as a steward of their charitable funds and legacies. It makes grants to and works together with nonprofits to address community needs and interests. The Foundation supports initiatives, programs, and partnerships that enhance Brevard’s quality of life. For more information, visitcfbrevard.org.